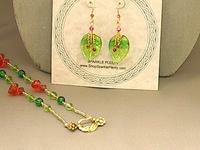 Shimmering green glass leaves are ribbed just like the real things, and vary in colour, size and shape, too. 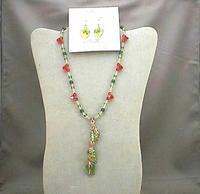 They're a perfect backdrop for 3mm Swarovski Crystal coral bicone beads dangling down their fronts. 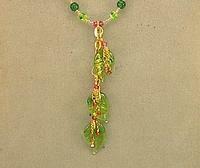 Together they form a pendant that ends about 3-3/4 inches below the strand. 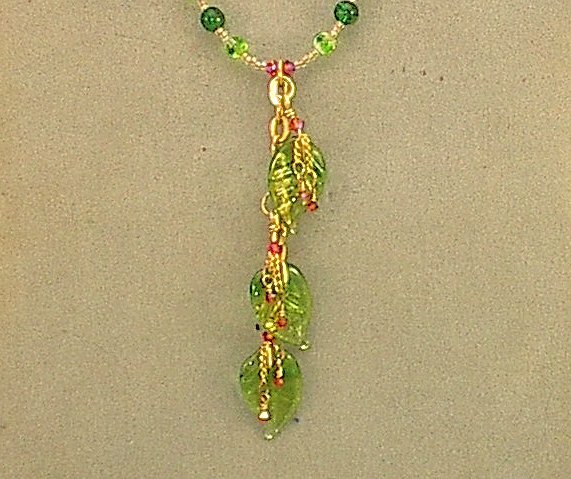 The 18 inch necklace features larger crystal beads, as well as green pressed glass round beads. The strand closes with an antique gold plate over pewter botanical-themed hook set. The matching earrings measure a shade less than 2 inches from the tops of their 14KT gold fill French hooks to the tips of their leaves. 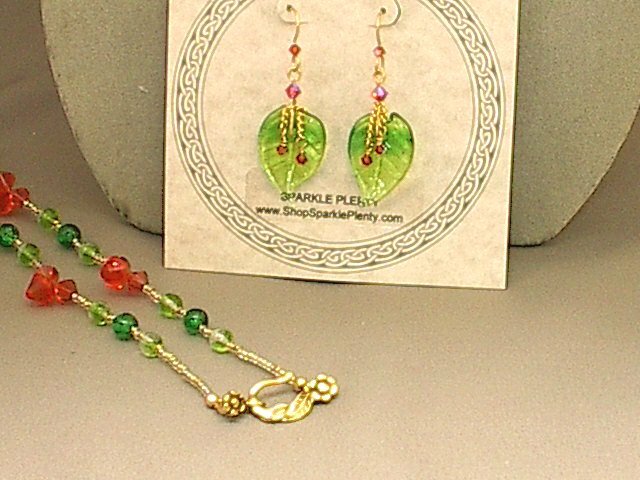 For those who can't wait for Spring to arrive, here's a bit of a preview from SPARKLE PLENTY. The bias drilled cubes are contemporary glass, although the faceting is crisp enough that they might at first be mistaken for crystal. 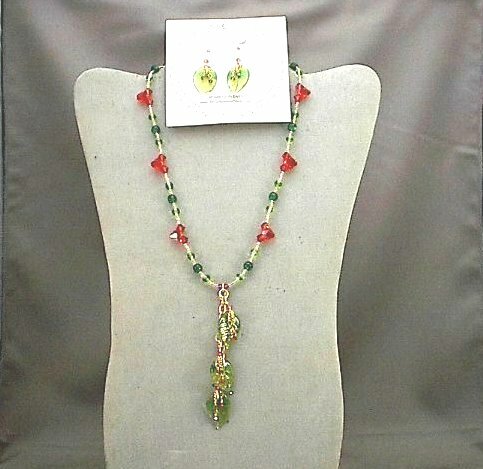 Hot, hotter, hottest tropical colors make this hibiscus flower pendant necklace a must-have for summer wear!